In this meetup series we go through the Fast.ai lessons part 2: Cutting edge deep learning for coders. We'll be going through the third version of this course. This course assumes you are familiar with part 1, Practical Deep Learning for Coders, so head over there if you haven't completed that course, or are not already familiar with current deep learning best practices. We will be assuming familiarity with everything from part 1, such as: CNNs (including resnets), RNNs (including LSTM and GRU), SGD/Adam/etc, batch normalization, data augmentation, PyTorch, and numpy. Like in part 1, there are around 20 hours of lessons, and you should plan to spend around 10 hours a week for 7 weeks to complete the material. The course is based on lessons recorded at The Data Institute at USF. 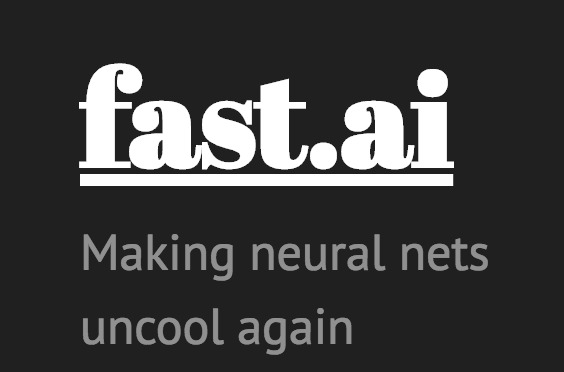 We study the latest fast.ai Deep Learning Class, find the last years class here https://www.fast.ai and join our slack channel: https://ai-lab-slack.slack.com/messages/CDNFNK42W/ for more information We collaborate with https://www.meetup.com/AI-Lab/ and meet in the the Hague Tech close to the Central Station. Are you organizing [AMSTERDAM] study fast.ai fastai deep learning part II, lesson 2 HANDS ON? Are you an organizer of [AMSTERDAM] study fast.ai fastai deep learning part II, lesson 2 HANDS ON ?